To mark the 25th anniversary since the first transmission of Blackadder in 1983, the iconic cast of the much-loved sitcom appear together in a documentary for the first time. The show includes an exclusive in-depth interview with Edmund Blackadder himself, Rowan Atkinson - the first time he has agreed to be interviewed about his experience making the show. 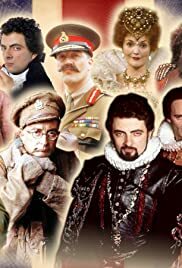 Not sure why it fell to UK Gold rather than the BBC to mark the 25th anniversary of the creation of the Blackadder sitcom but it did and this documentary was the outcome. Due to the channel it was on, I approached with a degree of caution as I assumed it would just be a load of clips held together with contributions from minor celebrities who had once seen the show on a telly in a room they had been walking though (Andrew Collins is a specialist for example). The reality though was much better as the contributions were all from people actually involved and not a single person who wasn't. In fact, with the exception of Rowan Atkinson, everyone is involved  from Curtis, Elton and Robinson through to Fry, Laurie and Richardson. 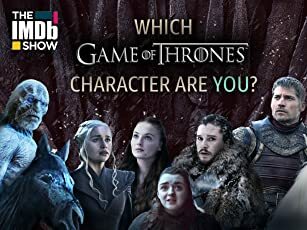 These contributions are well drawn out and pulled together to create a film that builds the story from the first series, to the much better second series right through to the famous final scene of the fourth season set in WW1. In this way the film is interesting and personal as it is essentially built by those directly involved in it, so it is never just opinions from celebs that don't go beyond people talking about scenes they liked. Instead they talk about aspects of the show, history of problems, performances of peers and so on and it produces plenty of interest as well as allowing disagreement on some aspects between contributions. Atkinson is of course a gap but that is not so much the fault of the film as it is a personal preference of the man himself and everyone is more than enough to be getting on with. The "research / behind the scenes" footage is not of as much value as the film would have you believe  it is never all that interesting but is a nice little addition to the film. Although I was mostly proved wrong to be worried about UK Gold's handling of the film, the one place where it does really show is in the narration. I have no issue with the voice work of Peep Show's Mitchell but it is his material that is weak. In providing structure he is fine but he has far too many "coming up" moments where he tells us what we are about to see before we see it. This is most obvious (and perhaps understandable) in the few minutes leading up to each advert break but it is also very annoying that the first 10 films of the film seems to be taken up with a telling of what we will see, rather than just letting us see it. Aside from the feeling of time-filling that this technique employs, the film is otherwise really good and worthy of the Blackadder standard. Personal, interesting and funny, it is a solid documentary that is only slightly spoilt by the nagging "coming up next" approach demonstrated by the narration.